I feel like we haven’t REALLY chatted in, like, 47 years. What has been happening? What’s going on in the world? Why haven’t we talked!?!?!?!? Oh I know, because there was no Bachelorette on last week and all of our lives sucked. Kidding, kidding…kind of. It’s probably because we were all doing the holiday weekend things followed by acting as if the week never really began. That’s what I was doing. It just didn’t feel like a real week last week. Can we just take a second to think about how awesome it would be if we all only worked 4 days a week? My husband works 6 days a week and if he only worked 4, we would get to do so much cool sh*t! Wait, back to the bachelorette…I haven’t watched it yet. My sister in law works Monday nights so I wait to watch it with her on Tuesday. So DON’T TELL ME ANYTHING! I’ll be watching it in just a few hours then recapping the sh*t out of things tomorrow. Speaking of sh*t, did you guys hear my snapchat rant recently about cussing? Snapchat is my happy place. Mostly because I can say whatever I want and no one can send me messages back about how they feel about what I’m saying. Except when someone writes me on instagram about it. Effed up. Way to ruin my happy place, whoever you are! Anywho, if you don’t have snapchat yet, you totally should get it. Mostly because I was forced to in order to stay hip and cool. Be hip and cool with me. And my cussing. Ok, back to my sister in law. I officially have the same last name as her! Until she gets married someday and then I’ll be pissed at her. I finally pulled the plug and went down to the Social Security office and changed my name. I removed my middle name, added in my previous last name there and then took my husband’s last name. Next step: DMV on Wednesday for a new ID then I start checking off all the other sh*t like changing my name on my mortgage, bills, bank, and really, who knows what else. I wonder when using your new last name feels natural. Because now, it feels weird AF. But it’s so fun and cool to share the same last name as him now! And now that we are married, no more parties, no more entertaining (thank the lord)…just constant questions about when I will be with child. Which is not in the near future plans. But what constantly is on our mind is wanting to live on a lake. But we don’t want to move away from Colorado. And since lakes aren’t exactly vast here in Colorado, lake houses are REAL expensive. So now we are trying to figure out how many pennies we need to pinch to be able to get one. I absolutely LOVE the neighborhood we live in and truly adore our house, but my husband is at his happiest when he’s on a lake. So if that means we need to be on a lake, that means we are going to try to figure it out. Not sure how, though. But if that means I get to wake surf regularly, I’m totally down for figuring it out ASAP. I seriously want to wake surf all day, every day. It’s so damn fun! Wait…before you go…HOW WEIRD IS POKEMON GO?!?! So weird. Whisk together pancake ingredients: eggs, almond milk, maple syrup and vanilla extract in a large bowl. Then, add coconut flour, tapioca flour, baking powder and baking soda and a pinch of salt to the large bowl and whisk until batter is well combined. Heat up a griddle pan or whatever pan you prefer and grease. Once hot, use an ice cream scoop or cookie scoop to make pancakes that are about 3 inches across. Let cook through until bubbles begin to appear on the top of the pancakes then flip, about 3-4 minutes per side. Continue until all the batter is gone- the batter should make 12 pancakes. Set pancakes aside and cover with foil to keep warm. Lastly, turn the heat down on the pan to a medium low heat. Add the whisked eggs along with salt and pepper, then use a silicone spatula to continuously move the eggs while they cook through. I cooked mine until they were still a bit "wet". Remove from heat. 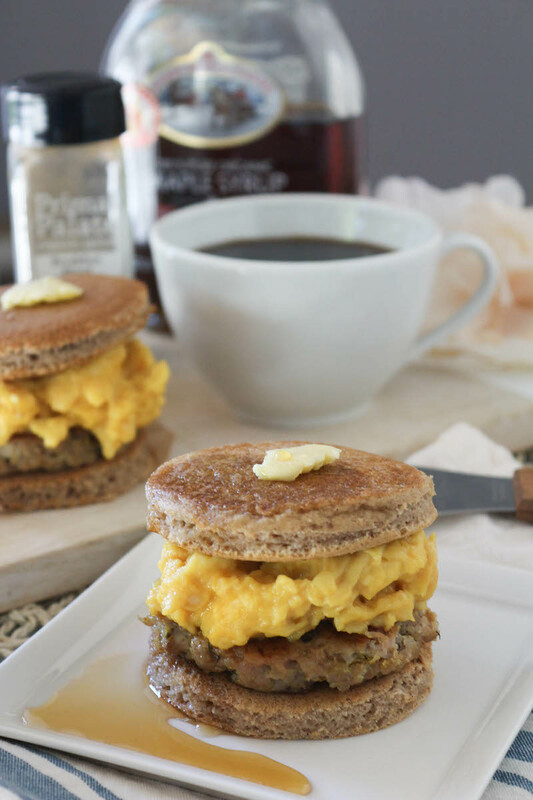 Make the sandwiches: pancake, sausage patty, an ice cream scoop worth of scrambled eggs, another pancake, then I topped each one with a small amount of butter and maple syrup on top. I wrapped each sandwich up in foil and placed in the fridge then once I wanted to reheat it the next day, I placed them in the oven in the foil and cooked for 15 minutes at 350 degrees OR I removed them from the foil and cooked in the microwave until warm. The butter and maple syrup on top keeps them from drying out when reheated! I just want to say, I’ve cooked dinners for the past two weeks exclusively from your website and I’ve loved every one! Even my husband loves them and he usually judges paleo recipes harshly. 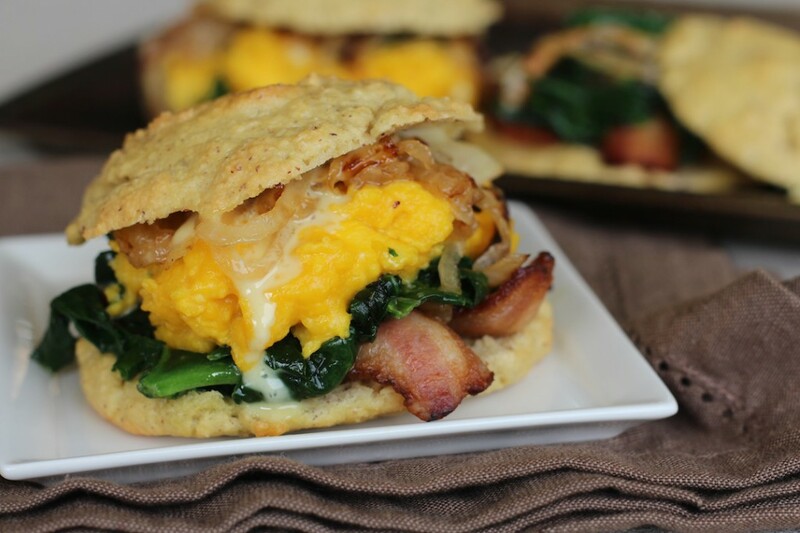 I’m excited to try these breakfast sandwiches! Thanks for being so candid and entertaining in your posts as well! I appreciate posts like yours from yesterday. I have recently come to a point where I needed to mix up my workouts as well. I decided to leave my CrossFit gym after 4 years and start spin classes and programming my own workouts in my garage. It’s great to read of other people mixing it up as well. Continue to do what you do!! Thanks for all the great recipes! First off those look delish, can’t wait to try! I was interested if you had any advice on warming up before your work outs or mobility techniques? I thought you had said in the past you had issues with your knees? ( i could be mistake) I have a lot of pain in my knees that restricts a lot of movements and I know a huge factor for me is my lack of hip and ankle mobility. That may not have been the case for you, but as a crossfit coach I was interested if you had any sort of routines or anything? Can these be made ahead? How well would that work? OM Freakin’ Lord. My most favorite breakfast sammy is from the place with the arches and it’s the maple syrup-tasting sausage egg thing. Yours is gonna be sooo much better… Guilt free and portable. Genius. CanNOT wait to make this! Hi Juli! First off, I’m ANGRY with you right now. 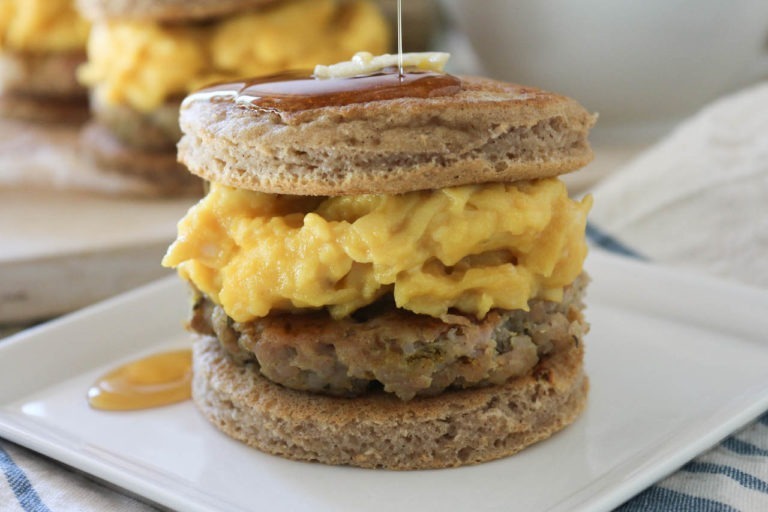 Because those look DELICIOUS AND BREAKFASTASTIC. And I am stuck at my desk. I’m also angry at ME for choosing to look at this WHILE stuck at my desk where I can’t do anything about it….. but alas, that’s life. Second, DESPITE being angry with you for showing me deliciousness while I can’t make it – I’m still going to tell you something VERY important. YOU CAN MAKE AN APPOINTMENT AT THE DMV!!!!! It will take you a bit of digging on the Colorado website to find where to do it – but I legit made it in and out with a newly weird AF sounding married last name in like 15 minutes. :) AMAZINGGGGGG! Yummmm!! I’ve been waiting for this recipe, can’t wait to give it a try. Loved your snapchat on cussing, I wanted to snap you back and say you fuhhhhkkinnn tell them! We like you for who you are so you keep cussin girl, they’re just jealoussss cause you’re a hottie with a body! 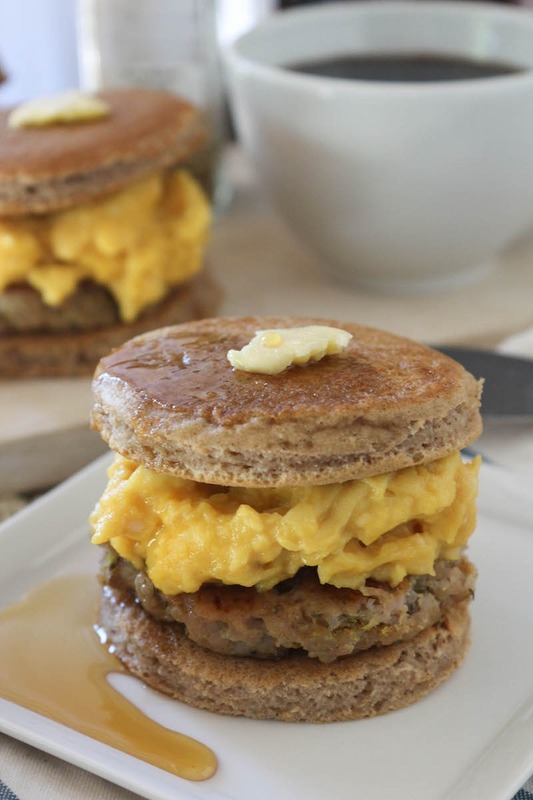 Just made these with the breakfast sausage from your cookbook… HEAVEN! It’s everything I’ve been wanting for the past four years of paleo! awesome!! glad you liked it, elizabeth! These look amazing! 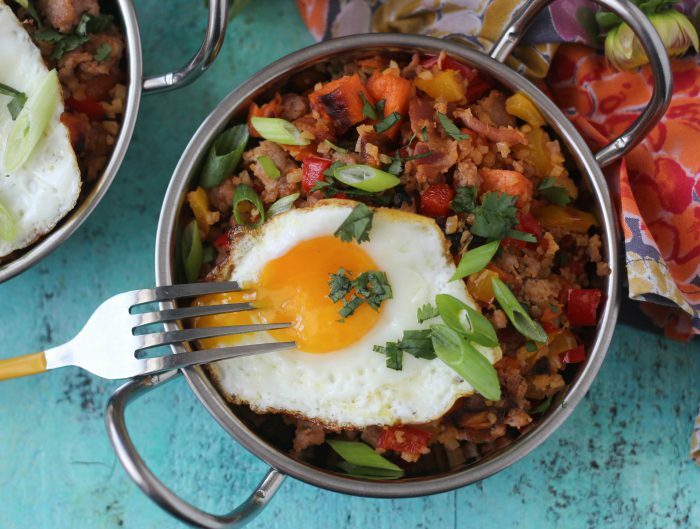 Quick question….does your new hubby eat paleo as well? My husband has the diet of a 9 year old and frequently brings in some pretty unhealthy (but unfortunately delicious) food into our house. Any advice there? yes. i do all the cooking so he doesn’t really have a choice. if he doesn’t want to eat what i’m cooking, he can make his own food! Read your blog all the time. We live in Colorado – Love to wakesurf and do not live on a lake. Find a private lake buy a camper and park it on the lake all summer! We just drive to the lake each Friday and are ready to go! I can give you more info in a private email if your wanting some information! Oh – eM – gEE. I will be making these in the near future, along with several other things you post. Soo … I have a question in regards to caffeine . I saw your post the other day about bulletproof coffee, and I’m curious if you drink coffee/tea regularly? I’ve have a super wonky stomach and I eat paleo which helps, but I’m trying to figure out if it’s the cup of coffee I’ve been having every morning. PS, your snap the other day was hilarious. i do drink a glass of coffee every sometimes, but i don’t have stomach issues from it. that being said, one of my closest friends had to give up coffee because it messed with her stomach, but she feels awesome since giving it up! just test it out for a couple days and see how you feel! Foil-wrapped goodness that I can take with me to work, and therefore make everyone extremely jealous is just brilliant. I’ll make a double batch so some of them may make it to the end of the week. Lakes in Colorado ARE hard to come by, but you could always camp every weekend and wake surf the whole time. Hell, make some of these babies and bring them with! I made these last night for quick, grab-n-go to work breakfasts. I’ve tried two other paleo pancake recipes, and this is by far the closest in consistency to regular pancakes, even though I totally effed up the batter. I didn’t have tapioca flour (and was maybe watching the ESPY’S too hard), so I used more coconut flour instead (way too thick), so I added another egg, and more almond milk to thin it out. 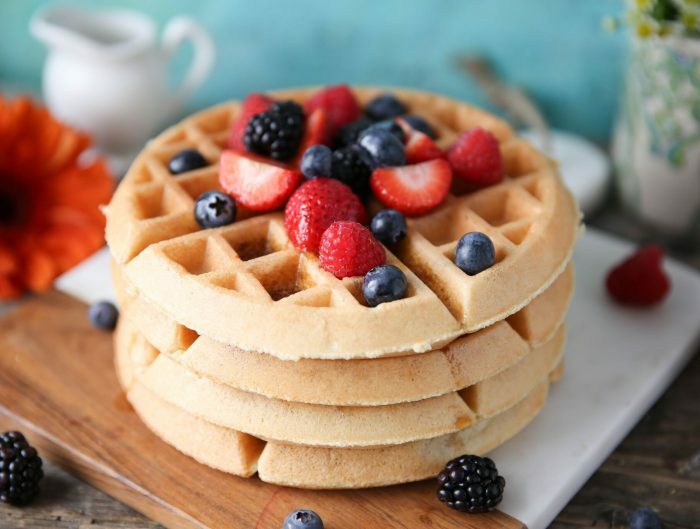 Otherwise, the batter would have been way too think for “bubbles” to go through while cooking, legit, it was like play dough – what’s the batter consistency supposed to be; thick and dough like, or thin and fluid? I’ll definitely make these bad boys again; they were tasty even after messing up the recipe, but like most cooks, I want to nail this recipe down. Thanks for the great recipes! hahaha definitely DO NOT try to sub coconut flour for tapioca flour. it will not work. get some tapioca flour for the next time you try it! the batter will be little thicker (just not super runny) but still spreadable! Check out the Sacramento/Folsom/Auburn area. All close to lakes/rivers, more affordable housing, and the downtown Sacramento and Historic Auburn areas have excellent food. You’re also close to the foothills (hiking, mountain biking, Lake Tahoe), and about and hour and a half from San Fran. Thank you! 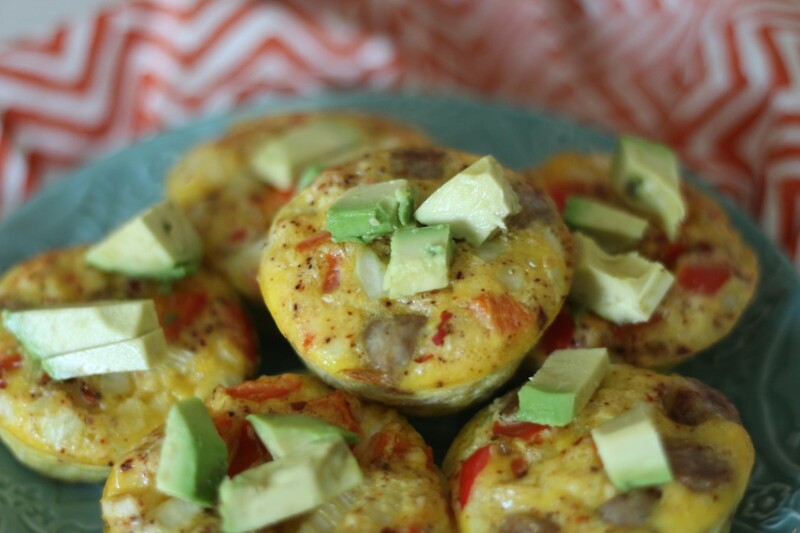 – These look delicious and quick enough to reheat for on the run breakfast for me, husband, and 2 kiddos. PS Pokeman Go – too f**ng weird. I have had 3 adults in 3 days barely finish a conversation with me because they had to run and find something . . . I love all of your recipes! I love your cussing! Don’t change, girl! But, to comment on your dream of lake living; my husband and are hoping to limit our rat racing by owning a tiny house. Just a suggestion for you and your hubby. You can save a ton of money and bring it wherever your heart fancies. Oh! And I can’t stand Pokemon Go! omg we were JUST talking about that this morning and how we should do that! and just get property and have a tiny little house on it! These look JUST like McDonalds, but BETTER. And sometimes I can have a serious pottymouth! Whoopsies! Made these this morning and they are delicious!! I’m excited to have so many to warm up for the rest of the week! I made the pancakes for my husband this morning! We added blueberries! Sadly we didn’t have vanilla (we’re on vacation) but they were still SO good! Thank you for providing us with a paleo pancake that is as close to the real thing as you can get! 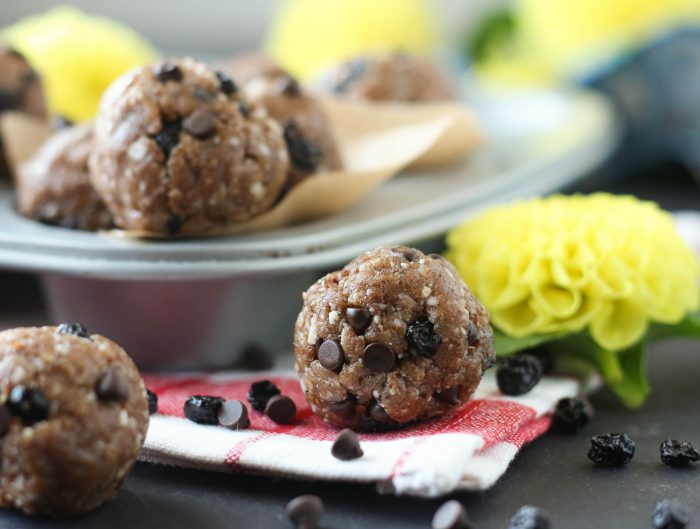 My husband is still a bit hesitant to the paleo lifestyle but these were a total winner with him! 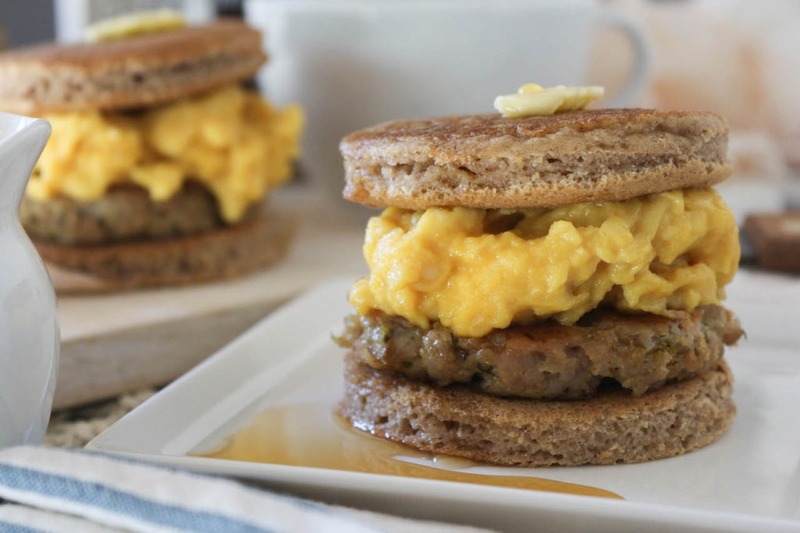 These are the absolute best Paleo Breakfast Sandwiches I’ve ever had!!!! It taste just like a Mc Donald’s Mc Griddle. I did put a slice of Cheddar on mine. Will make every time im craving a Mc Donald’s Mc Griddle. Oh YUM! I am going to have to maybe make this for LUNCH lol… that’s allowed, right?! Looks delicious! yeah duuuuuuh! that’s probably the best time to eat them! These came out so beautiful, you are a cooking wizard! I would like to get a more buttery taste from the biscuits (TX represent), any suggestions to up the butter without throwing off the proportions? Son of a biscuit farmer, wrong breakfast sandwich post! So this morning I’ll eat…egg. On my face. Haha son of a biscuit farmer! Love it. omg = O …. totally making these… Jesus.. my mouth is drooling lol. I think, perhaps, I will make these for dinner tonight because now that I’ve seen them I’m not sure I can wait for breakfast tomorrow. My kids really dug these. Super tasty and easy to make. Thanks Juli! I made this on Sunday and it was amazing balls! So yummy. Juli, you are awesome! So thankful for your blog and podcasts. Has anyone tried subbing Almond flour for Coconut flour? I have a problem with coconut products. Otherwise it looks great, thanks!